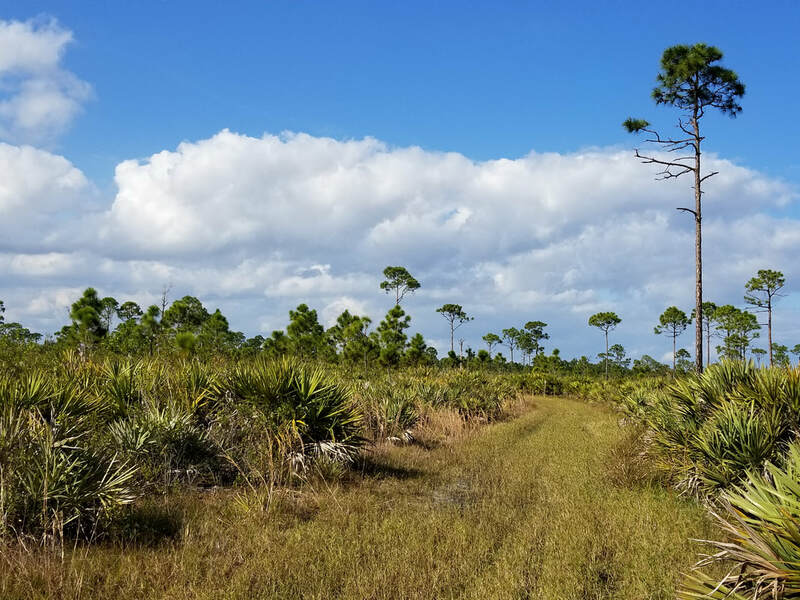 The Lookout Trail is less than a mile one way hike through pine flatwoods to an observation platform that looks out over the southern basin marsh. 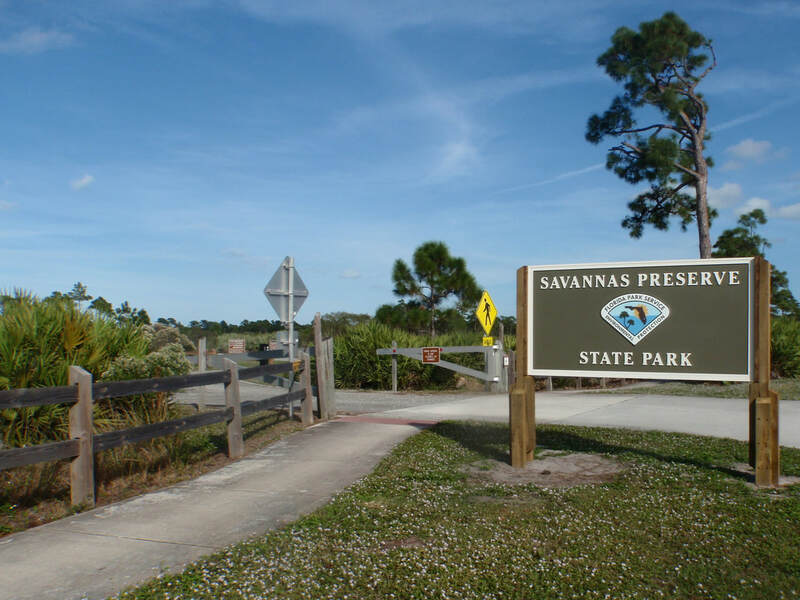 This part of the park hosts a nesting pair of eagles. There are also pavilions and bathroom facilities available for use while the park is open. 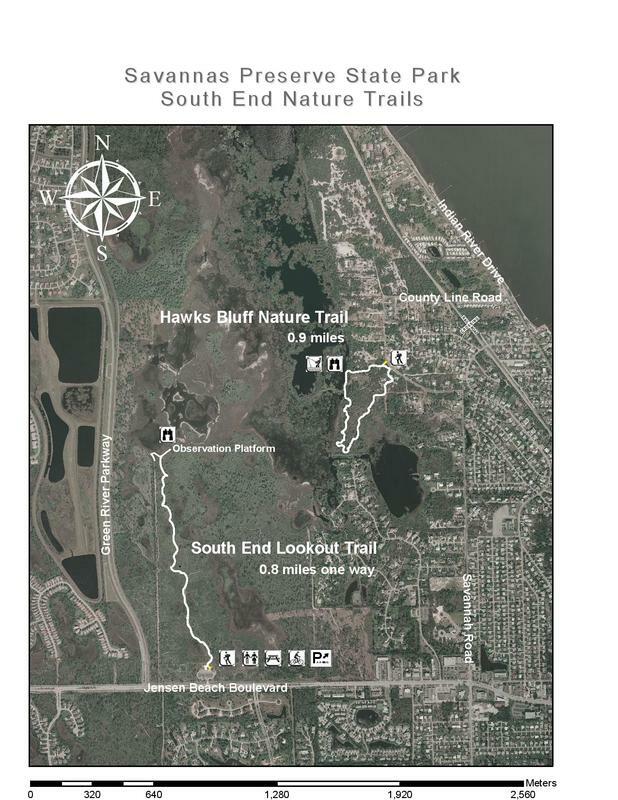 ​The South End Lookout Trail at Jensen Beach now connects to the rest of the White Trail at Walton Road and offers an 11-mile long one-way hike.